Swapnil has around 13 years of experience in design, development and management of large scale Information Technology (IT) projects. Swapnil is an MBA graduate from S. P. Jain Center of Management, Singapore. He graduated with a bachelor’s degree in Computer Engineering from Maharashtra Institute of Technology (MIT), Pune university, in June 2004. Prior to establishing Splashgain, Swapnil worked at TATA Consultancy Services (TCS) and Geometric Software. His area of expertise include software prototyping, scalable web architecture, cloud computing and information security. Swapnil is also an author of a book about Ahmednagar district. This book has generated good response in the reader community, with more than 1000 copies in circulation at present. Samir brings in more than 20 years of rich experience encompassing, Product Engineering, Software Quality Assurance & Testing, large scale program management, Delivery Centre Operations Management, Pre-sales and Sales. Building scalable teams, Key Account Management and creating in-roads in difficult accounts through innovative strategies are some strong assets that Samir possess. Before starting with his own consulting firm Ideaom Consulting Services, Samir was associated with SNS Technologies. At SNS in the capacity of Director – Projects, he contributed to transform the software testing specialized organization to a comprehensive IT services providing organization. Prior to SNS, Samir worked with start-ups as well as established large product and service companies such as Geometric, IDeaS (a SAS company), Ruksun and NeilSoft. In these organizations he played various roles that of a test specialist, SEPG Member, program manager of large key accounts. That offered him opportunities to work in various domains such as CAD, device driver development, gaming applications, E-commerce, WAP, Decision Science Technology, PLM to name the few. A graduate in Mechanical Engineering from Pune University, Samir has completed his M.S. from BITS, Pilani. He also holds PGDFM (PG Diploma in Finance) from Symbiosis. 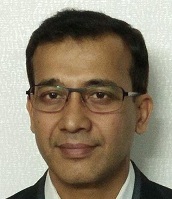 As a visiting faculty for the reputed B-schools he has contributes to the subjects such as Software Engineering / Testing, Software Project Management and Requirements Management. Mangesh brings in more than 22 years of rich experience in setting up of global IT delivery teams, Product and Service Delivery Management, running Large Transformation programs, New Business and Service offering creation, Technology exploration and people management. Mangesh was associated with Tieto India for more than 10 years where he served in various capacities such as Heading a large scale offshore delivery center and Heading a product unit. Prior to Tieto, mangesh worked with a product based company IDeaS (a SAS company) where he worked for 7 years and played various role in Service delivery, Product management, Data analytics and project management. Mangesh also has a good understanding of sales and marketing which he gained by working with Voltas Ltd (TATA Group company) post his MBA. Mangesh is graduate in Polymer engineering from Pune University and has completed his MBA from Pune university (PUMBA). He also holds a diploma from Stockholm School of Economics, Stockholm - IFL executive education.